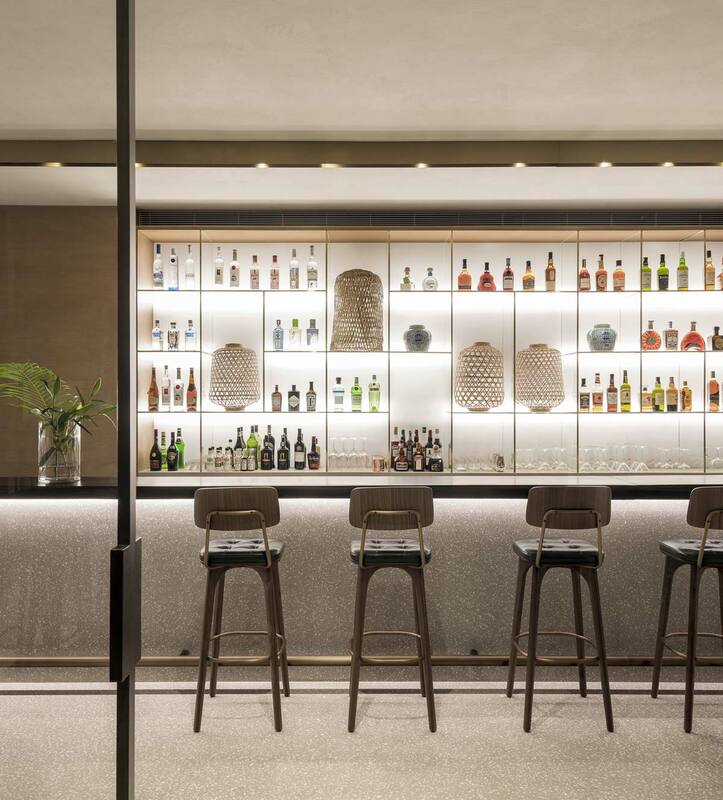 “You can taste, learn, discover, buy,” says Antonio Rodriguez, designer and partner of the Milanese studio Matteo Thun & Partners. 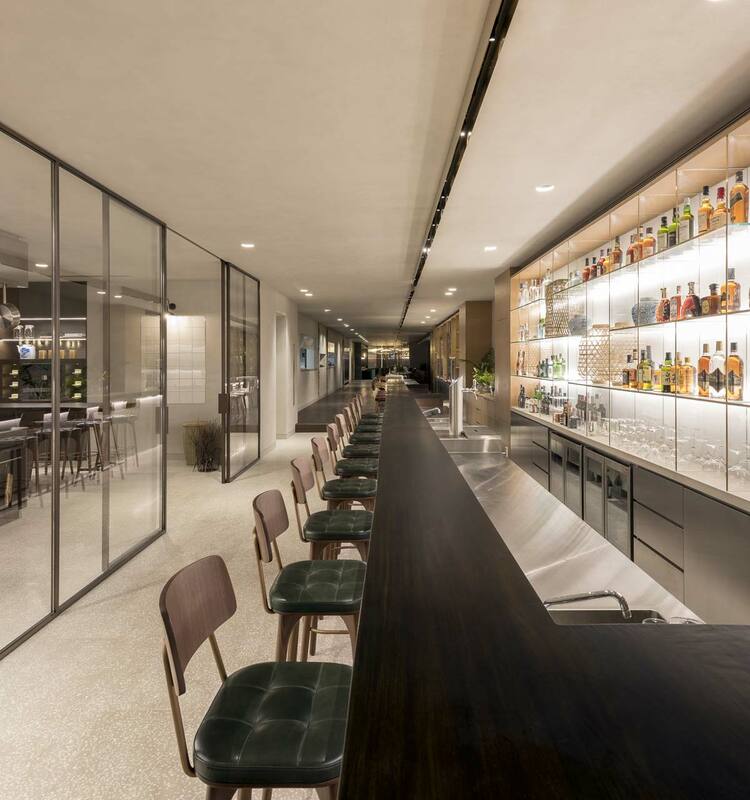 The design, that includes the flagship store, a bar, a restaurant called The Twins (like name of the brand, which is German for twins) and a gourmet cooking school, offers a sensory experience that involves all the senses, a true visual journey in the Zwilling world. Matteo Thun and Antonio Rodriguez over time have matured vast experience in the field of the knives of Solingen, as for over ten years they had been designing, in close contact with German engineers, tools and knives for the kitchen. 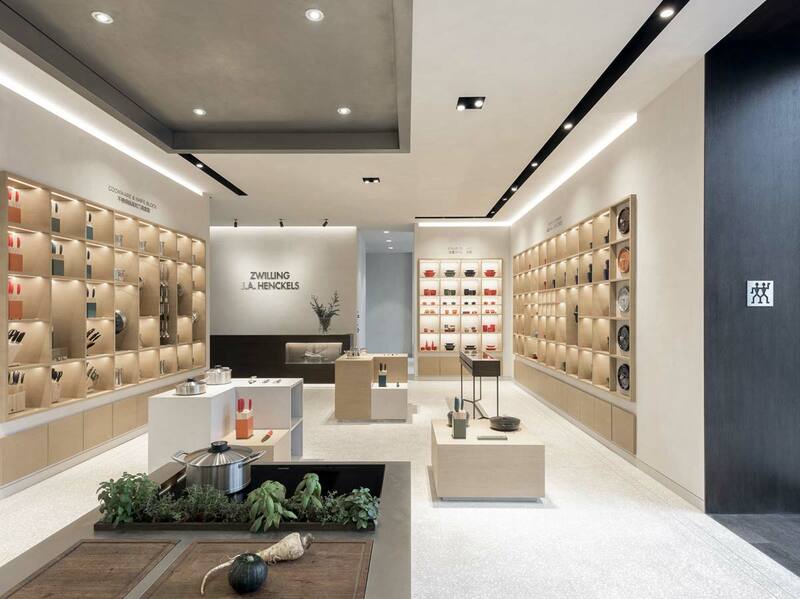 Knowing the philosophy of the German company, two years ago the duo designed a production plant near Shanghai, in addition to this two-storey flagship store, with a surface area of ​​650 square metres. Moving within the store’s spaces, one can enjoy a culinary experience that combines Eastern and Western traditions, always keeping in mind the Zero Design philosophy of Matteo Thun that emphasises formal simplicity, sustainability and durability, focusing on pure forms and high quality material. The store occupies the ground floor with 180 square metres of surface area and is designed as a minimalist space that has the goal of highlighting the design and lines of the wall shelving or on corner displays. 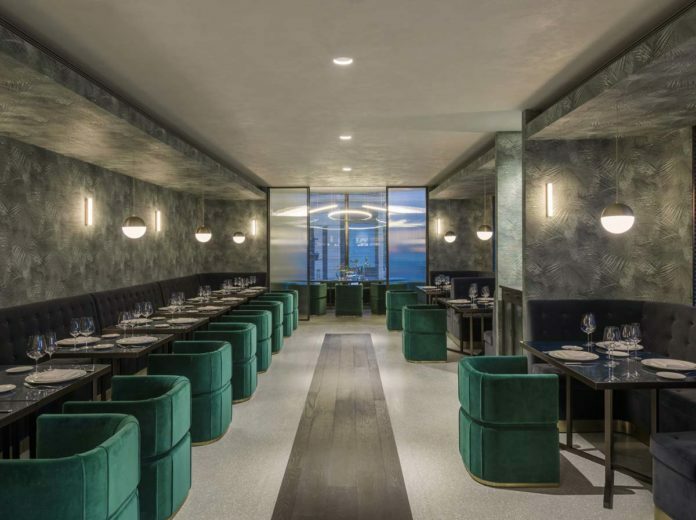 Light oak alternates with dark walnut wood, which contrasts with the sand-coloured floor, while the steel and brass in the finishes of the cabinets and containers are touches of elegance in the space. A large staircase leads to the second floor, where we find The Twins bar and restaurant. 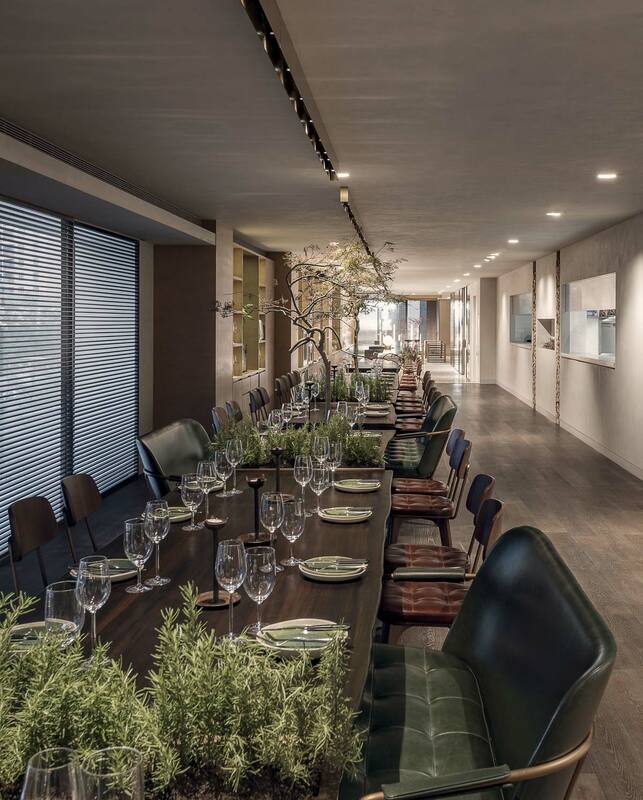 The long and narrow layout suggested the insertion of a 36 m table, symbol par excellence of Italian conviviality, that acts as a counter or table for lunch. The restaurant also offers more elegant spaces, designed for formal dinners. 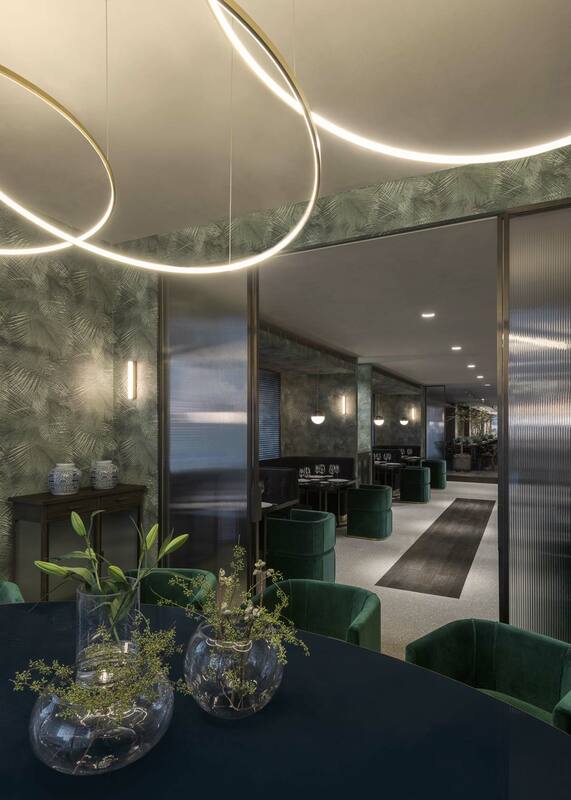 “We wanted the refined hall to have references to the Art Déco heritage of Shanghai, so we chose sophisticated, luxurious green velvet armchairs, blue glass tops and brass lights,” says architect Thun. Through a wooden walkway, one reaches an additional VIP space, which is more intimate and secluded. The gourmet cooking school is organised around three work stations, with a central wooden table and a wall for aromatic herbs. The menu offers the best of traditional oriental and western dishes with fresh and healthy ingredients, reinterpreted in a creative way.